Frederick Delius (1862-1934) was an English composer, who interacted with many artists and poets during his career in Paris and Grez-sur-Loing. From his settlement in France from 1888 onwards, he met artists such as Gauguin, Munch, Daniel de Monfried and Rodin, with whom he interacted as friends and whose works he admired. During his Paris years (1888-99), there was also a circle of artists and composers who were brought together by William Molard, an amateur composer who held an open house for artists to exchange ideas. This concert presents works by composers who interacted with Delius and other artists in the “Molard Circle”. Through his encounters with artists and their works, Delius’ style developed in a particular way that could be linked with the development of style during the post-impressionist period. 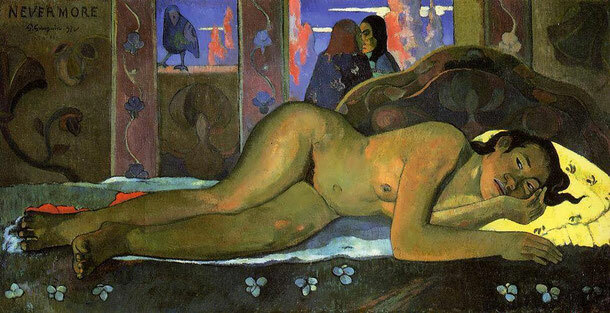 A particular painting that could be associated most closely with Delius’ music is Gauguin’s Nevermore. Delius admired this painting. He bought it from Gauguin in 1898, and hung it on the wall in his music room in Grez, where he composed many works. Compared to Delius’ earlier works, which resemble the conventional structure of Romanticism and reflecting influence of Edvard Grieg’s music, his later works are extremely different – it is as if his music became a mix of the mysterious colours against the vivid colours of Nevermore. His palette of harmony developed a range from the extremities of dark to brilliant colours, and was used in a way that was similar to Gauguin’s expression of colours in Nevermore. This concert would invite the audience to a journey through Delius’ artistic encounters, an exploration of stylistic development through visual colours and harmony. 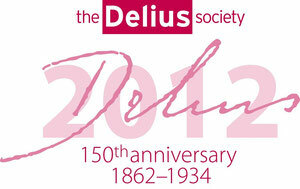 The programme is structured around the life of Delius – starting with his very first Sonata for violin and piano, and developing through his associates in the circle, to finish with his last Sonata for violin and piano No.3. Through these pieces, I hope to express the intimacy of ideas and inspiration shared by composers and artists.